For the first time since 2012, the Paul Bunyan Trophy has returned to Ann Arbor after Michigan defeated Michigan State, 32-23. 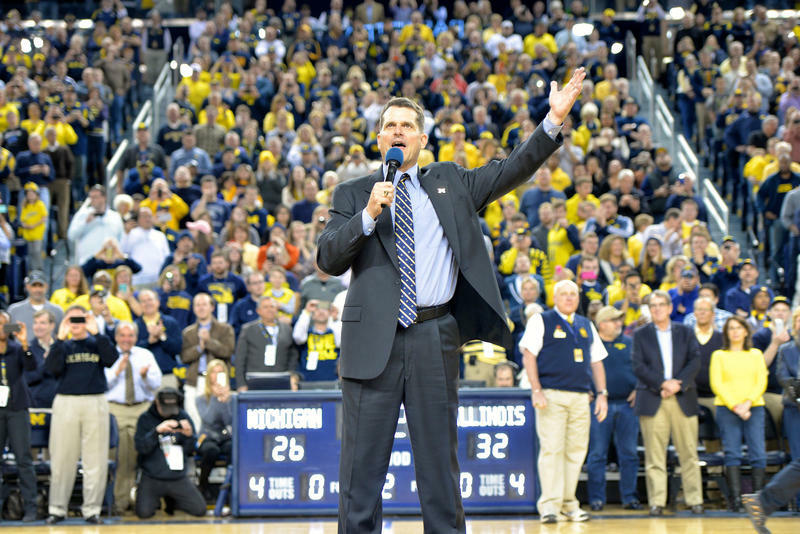 Our conversation with Michigan Radio sports commentator John U. Bacon. For the first time since 2012, the Paul Bunyan Trophy is back in Ann Arbor. The trophy, which dates back to 1953, is awarded to the winner of the Michigan-Michigan State football game. 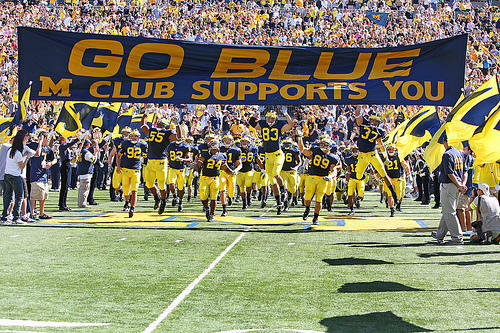 This weekend, the Wolverines defeated the Spartans in East Lansing 32-23. It was a competitive game despite the fact that the two teams are going in opposite directions this season. The Wolverines are currently ranked No. 2 in the country, while the Spartans, who have been a Top 10 team the last few years, are having one of their worst seasons in decades, dropping to 2-6 on the campaign. Michigan Radio sports commentator John U. Bacon joined Stateside for his weekly roundup. He thought MSU would play Michigan tough in the first half and then fade in the second. However, the game was the opposite as U-M jumped out to the early lead and the Spartans rallied to make it a competitive game in the second half. Listen to the full interview above to hear more about the big game, Jabrill Peppers' chances of winning the Heisman Trophy (the trophy given out to the nation's best college football player), and why undefeated Western Michigan is the second-best college football team in the state. HBO’s “Real Sports” ran a feature last week on the arms race in college sports. It questioned why Eastern Michigan University still spends so much money to compete in Division I football. Michigan Radio sports commentator John U Bacon has been asking the same question for a decade. Global warming good for Michigan football? 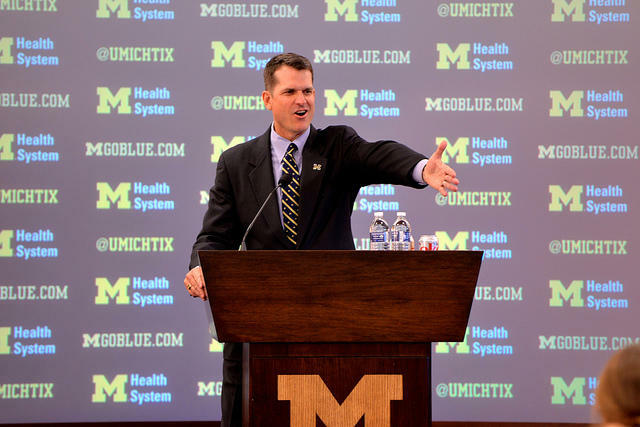 Jim Harbaugh says yes. Michigan has seen particularly warm weather the past few days, and one person taking notice is the University of Michigan's head football coach Jim Harbaugh.